If you haven't heard by now, or if you've been living under a rock for the past decade, Leonardo DiCaprio is a phenomenal actor. His dedication to his roles can never be questioned seeing as though he actually did a lot of things to prepare for this film. (Click here to find out the crazy things he literally did.) I also wouldn't be surprised if Tom Hardy didn't get some "Best Supporting Male Actor" nominations as well. He played a great antagonist to counter Leo. So this can go either way, but this movie was pretty gory. I don't believe that it was senseless gore like in Hostel or Saw, for example. But I wouldn't be surprised if some people get turned off by it either. Seriously, the Academy better give Leo an Oscar before he kills himself. If this performance doesn't earn him one, I don't know what else could possibly be done to get one. I don't think this is the type of film that everyone will flock to, but if you saw it, I don't think it would disappoint. 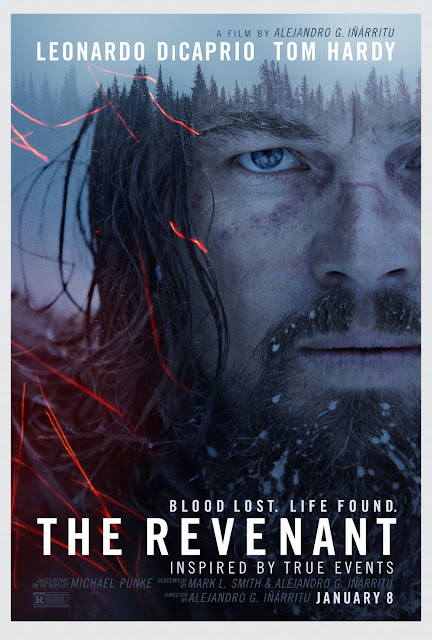 Fans of Leo will definitely appreciate this film of "man vs nature" and revenge. I think this movie will make for a good matinee viewing on a weekend, or maybe even a decent watch at home. Hmm still debating if I should see it. Thanks for the review tho!